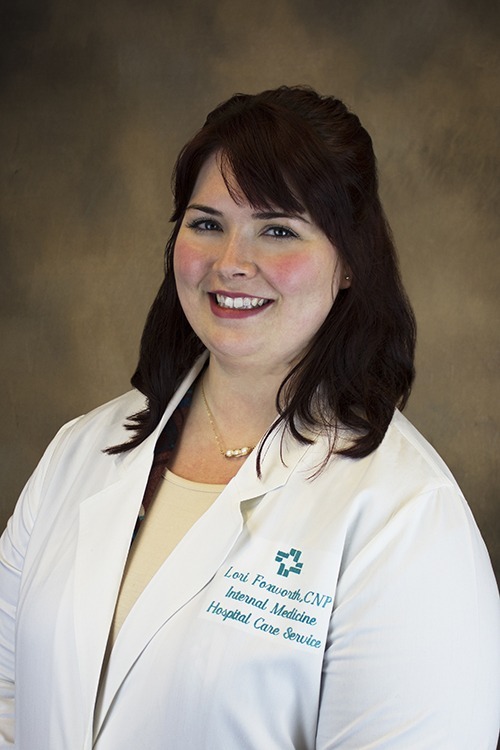 Lori S. Foxworth, CNP, is a certified nurse practitioner at Hattiesburg Clinic Hospital Care Service. Ms. Foxworth received her Master of Science in Nursing from the University of Mississippi Medical Center in Jackson, Miss. She is board certified as a family nurse practitioner by the American Academy of Nurse Practitioners. At Hospital Care Service, Ms. Foxworth cares exclusively for patients who are in the hospital. She coordinates with the patient’s primary care provider to ensure complete and thorough treatment for the duration of the patient’s hospital stay. Master of Science in Nursing, University of Mississippi Medical Center – Jackson, Miss.